Need a quick, healthy pick-me-up in the morning? Have I got the smoothie for you! I’m not usually a coffee drinker. In fact, I managed to make it through college, medical school and residency without picking up the habit. But as a mother of a newborn, I’ve found I could use a little more “Get-Up-And-Go” in the mornings. 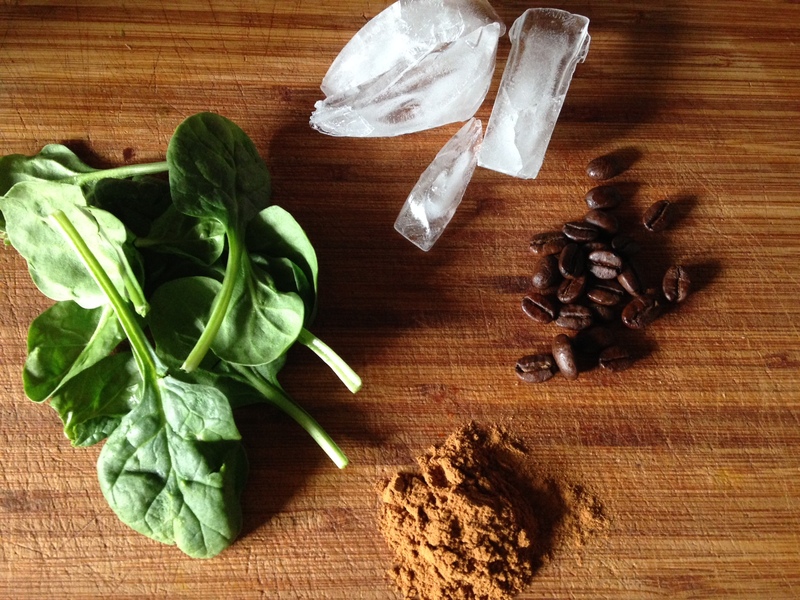 So I created this healthy iced coffee to help me survive. Hope you enjoy it! I love your blog. Love your recipes. Can’t wait to try this one! Thx, Lisa! Glad you are enjoying recipes! Feel free to share! And may you feel happy and healthy!